After a B.S. degree of the American University of Beirut, Lebanon in 2002, Niveen obtained her PhD degree in chemistry from the University of Florida, Gainesville, USA in 2006 under the supervision of Professor Alan R. Katritzky. From 2007 to 2009 she was a postoctoral fellow, first at Northwestern University, then at University of California, Los Angeles, with Sir Fraser Stoddart. 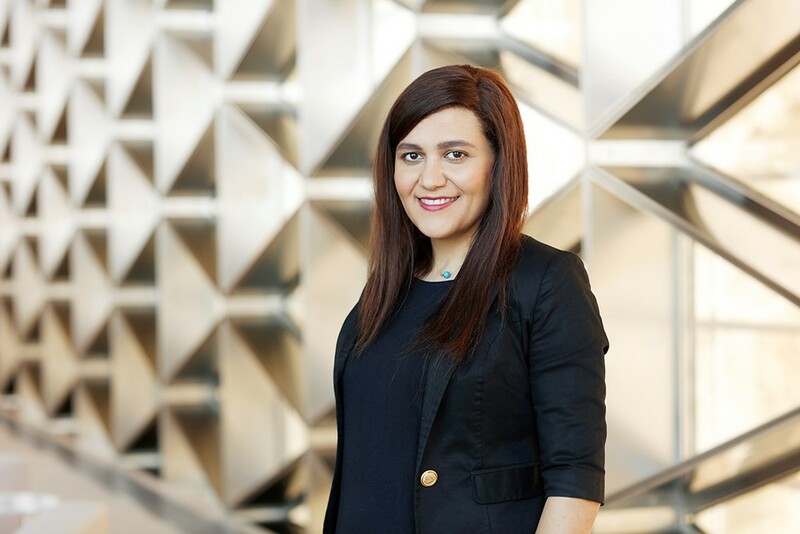 She has been Assistant Professor in KAUST since 2010. She has received several awards during her carrer, including the Crow Award for Creativity in Organic Chemistry 2004, Teaching Effectiveness Award 2004 and 2005, AlMaraai Innovation Award in Bio-nanotechnology 2013, L’Oreal Women in Science Award 2017, and she was nominated for the ACS Applied Materials and Interfaces Young Investigator award in 2017. – How did you start working on sol-gel? -What are your goals, for your research activities and your career? My current efforts focus on the design, synthesis, and applications of organic-inorganic hybrid materials that are porous and dynamically controlled by stimuli (pH, light, magnet, enzymes….). My lab aims to develop systems that can be triggered on demand using molecular self-assembly and supramolecular tools. -What is the most interesting part of your job and what would you like to change? The most interesting part of my job is working and influencing the lives of graduate students every day. – What do you like in the sol-gel community? – Do you have any advice for students who approach sol-gel chemistry for the first time ?